Take a look at the video showing CAFE capabilities. 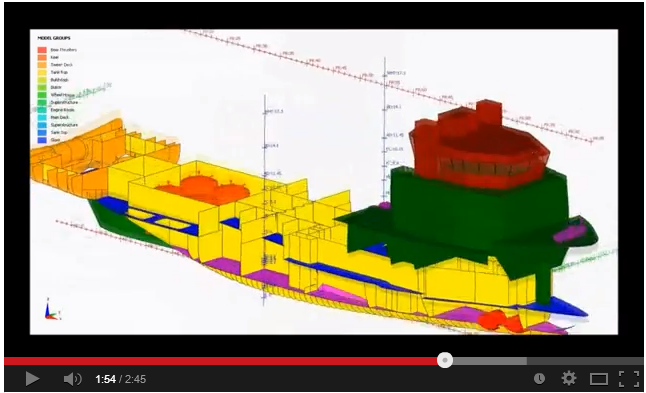 CAFE is enhanced by innovative features that aid ship modelling. These features enable faster and easier user interaction with the software. 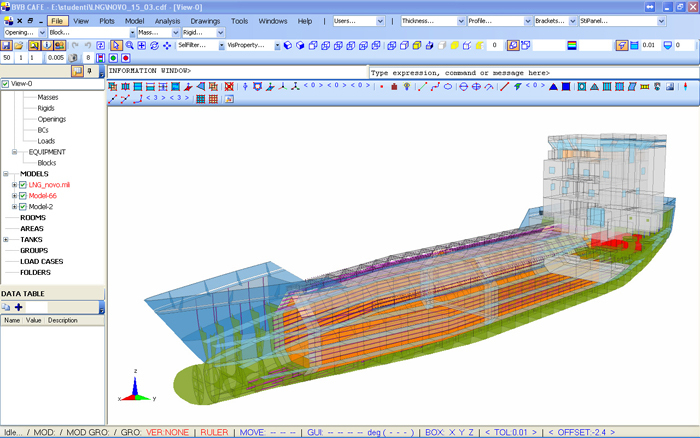 The enhanced interaction with the software brings large time saving during the modelling. Realistic properties of materials, plates and profile can be added, modified or replaced from MS Excel database or by user in CAFE interface. 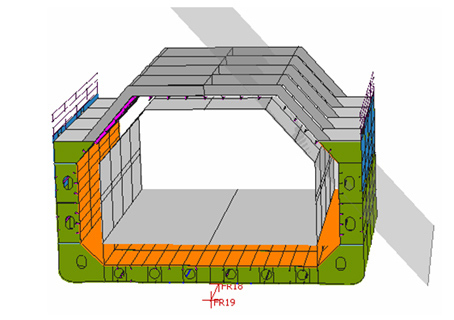 Rapid and Parametric definition of Shipbuilding entities, such as Stiffened Panels,Openings, Brackets etc. 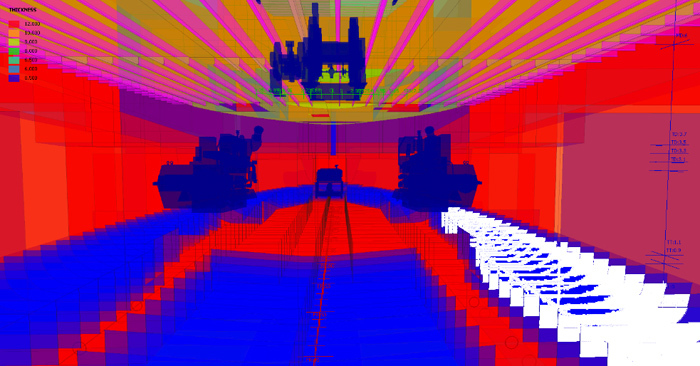 Automated meshing simplifies and speeds up the production of FE models. 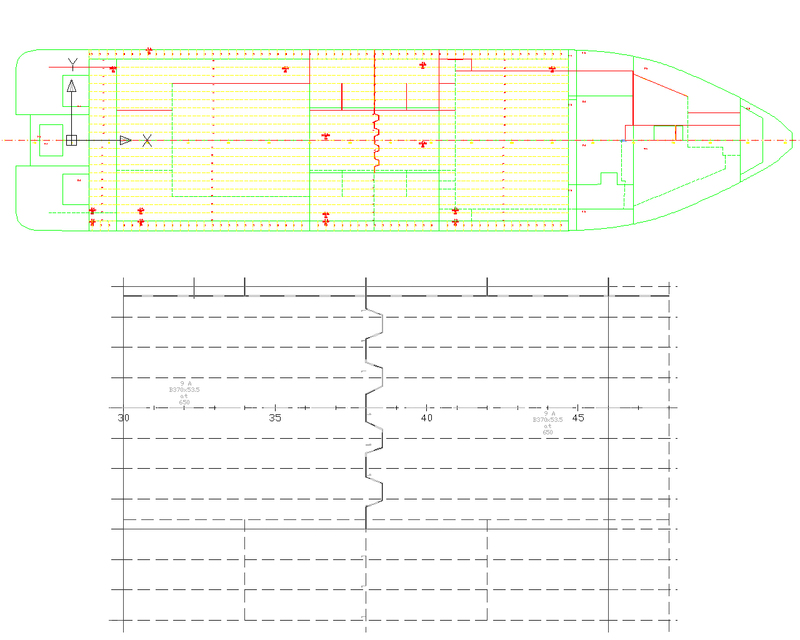 Example of midship model with stiffened panels and a numerical mesh of midship section. Part of a ship model and a transverse section at the corrugated bulkhead. Fast creation of global, local and fine mesh FE models. 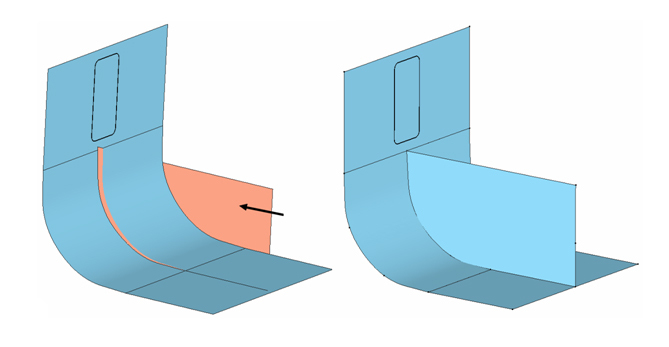 Example of stiffened panel model and automatically generated mesh with a desired element size.